Tuesday February 26 | 7pm on KLRU. Meryl Streep narrates the compelling story of women’s advancement in America in the past 50 years. It is a revolution that has unfolded in public and private, on grand stages like the U.S. Supreme Court and Congress, and humbler ones like the boardroom and the bedroom. The series features the stories of those who led the fight, those who opposed it and those — both famous and unknown — caught up in its wake. Meryl Streep narrates the three-hour stack, which features commentary and the stories of Hillary Clinton and Condoleezza Rice, Oprah Winfrey and Katie Couric, and Gloria Steinem and Phyllis Schlafly, among others. 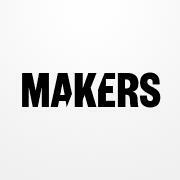 Check out the Makers website for more information and to watch videos with trailblazing women.